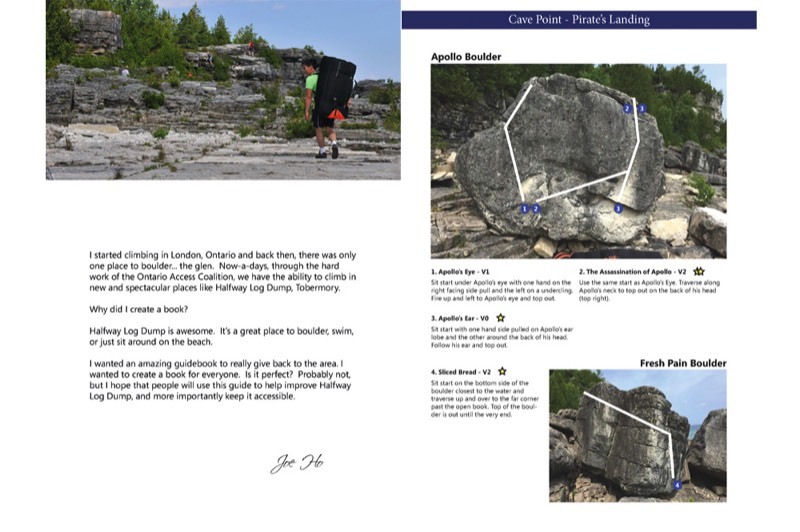 This summer Joe Ho will be releasing his new comprehensive guide to Ontario's premier bouldering area, Halfway Log Dump. We recently caught up with him and discussed some of the challenges involved in putting together a new bouldering guidebook as well as what the climbers can expect from this new book. 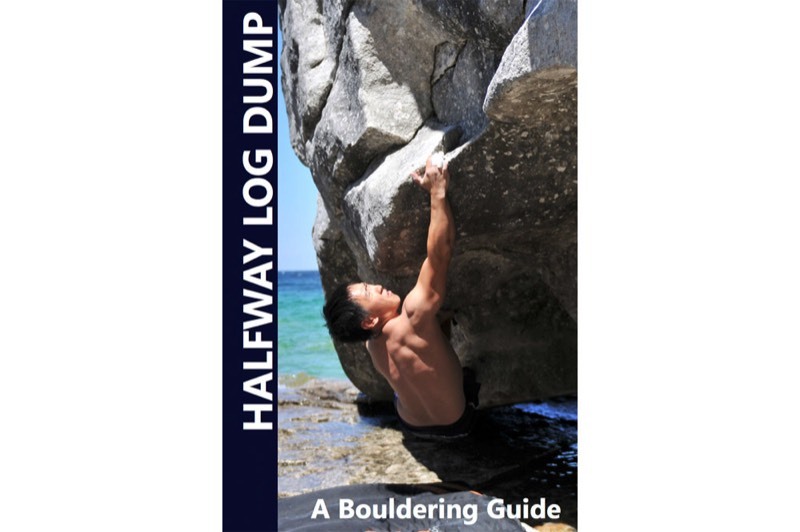 What made you want to write a guidebook about the bouldering at Halfway Log Dump (HWLD)? Joe Ho: I think the thing that spurred this project was moving further north from Toronto and closer to a bunch of new crags. The move gave me a chance to climb at these new areas and appreciate all the development that was taking place. It was at this point that I realized that Ontario Access Coalition’s guide to HWLD (as great as it is) needed an update. I figured that with my background in graphics and photography, it wouldn't have been too hard to a project to complete. The new comprehensive guide to Ontario's premier bouldering area, Halfway Log Dump. The Ontario Access Coalition (OAC) already has a free downloadable guidebook for the area. How will your guide be better or different? Joe Ho: The OAC did a great job of working with the Bruce Peninsula National Park to build that guide. My whole mission was to build upon that guide and create something that really highlights HWLD ‘s excellent bouldering and beautiful setting. In the new guide I've updated the route descriptions, added topos and photos of every boulder and I went out and established the last new open areas. What can we expect to see in the book? Joe Ho: I’ve always been impressed with bouldering guides that have a lot of pictures of the problems. So throughout the summer, I took a lot of trips up to HWLD and photographed every single boulder that was in the guidebook. It was particularly difficult to photograph the boulders this year as the water level was so high. We also got aerial topos of all the areas, so you knew where they are in relation to each other. I’ve also expanded areas to include problems past Terminal Beach and into two new areas, Pirate's Landing and Neverland. In the past, these areas were mentioned, but not mapped out. Tell us a little about the process of making the guide. How long have you been working on it? Joe Ho: It was about two seasons ago that I wanted to upgrade the guide. Knowing all the access issues in the area, I really wanted to make sure I did it right. 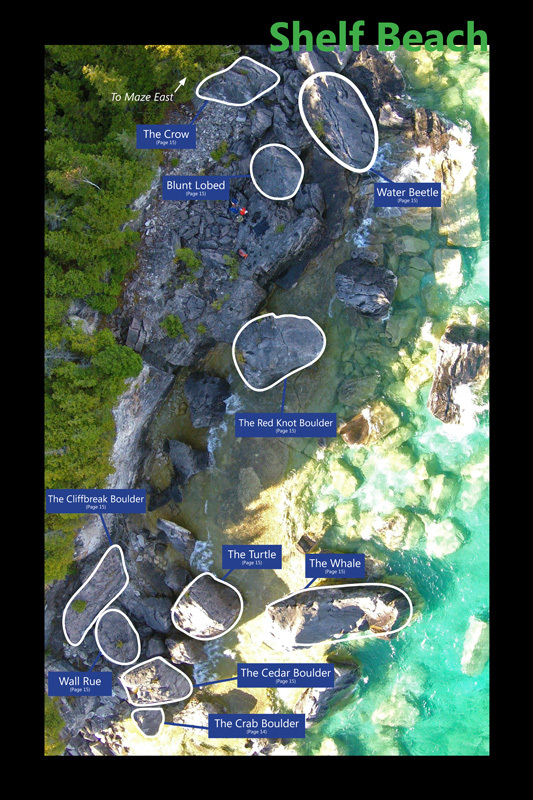 I called the OAC, the Bruce Peninsula Park and as everyone that I knew that had input into the previous guide to make sure that I got the most accurate bouldering and access information. It took me a whole season to get all the information and pictures, but seeing how it was really only one area, it wasn't too bad. A sneak peek of some of the great content in the new Halfway Log Dump guidebook. Joe Ho: The biggest challenge by far was trying to map out and take photos of problems that didn't have proper descriptions. It's pretty hard to know where to go when the problem description is "climb this when it's cool." Needless to say, I've updated the descriptions and added photos. Oh, and jumping chest-deep into water to try and take photos of boulders with a DSLR wasn't too much fun. Tell us about yourself. How long have you been climbing? What makes you suited for this project? Joe Ho: I think I've been climbing for about 12 years now? Yeah, it's been a while I guess. I started out really as a route climber, but slowly moved into the bouldering world. Maybe it was the day I had to carry a trad rack up the Kelso ski hill that turned me. I've been to many bouldering crags around the world and have had the opportunity to appreciate great guidebooks. Being my "home crag", I wanted HWLD to shine and have a guide that compared favourably to other high-quality guidebooks. I'm not saying that I'm going to create a world-class guide, but it's definitely going to be better than the paper printout that we have right now. HWLD is such a special area because of its unique ecosystem that’s created by the boulders and the lake. Climbers today may not know the history of the area or the fact that the Park had previously closed it because climbers weren't respecting the area. How are you handling these issues? Joe Ho: History is definitely a very important aspect of HWLD. As a person that didn't know the backstory, it was really important to understand what happened and how not to have it happen again. I made sure that I talked to the right people so that I had a better idea of how the area evolved and I've been in contact with the park and the OAC to make sure that we do this book right. Nothing would be worse than to have the area close again. An aerial-view topo in the new comprehensive Halfway Log Dump guidebook. Do you see climbers (and other user groups) respecting the area? Is there more that should be done to better educate climbers and the public? Joe Ho: I think that the OAC-initiated stewardship program is doing a great job of educating climbers and the general public. 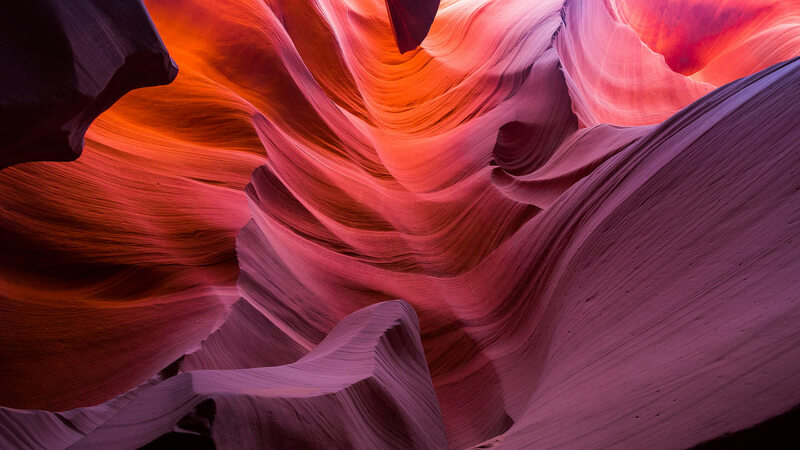 There really isn't that much information on the area (especially to non-climbers), so having the stewardship program and a new comprehensive bouldering guide will help increase awareness about the current access and environmental concerns. The OAC has done a lot of good work to improve access to the area. I’m hoping my book furthers those OAC wins. You had a Kickstarter campaign to try and help offset some of the costs of printing the book. You recently announced that your Kickstarter didn't meet your target but you'd still be forging ahead with publishing the book. Tell us a little about that process and how you see this thing moving forward. Joe Ho: I guess it wasn't that bad that the Kickstarter campaign didn't make the goal; I personally think of it as free advertising. The community really stepped up after I said I was going through with it anyways. My sponsors all showed their support and members of the climbing community stepped up to helped me with the content. Big thanks go out to The Junction Gym, Boulderz Climbing Gym, Mad Rock Climbing, Outland Adventure Gear and Organic Climbing. Without these folks this book probably wouldn't have made it. So when should we expect to be able to get the book in our chalk-covered hands? Joe Ho: Should be going to print by end of this month, so most likely May. Halfway Log Dump A Bouldering Guide is available for pre-order at the Ontario Climbing Guidebook Store, and will soon be available at MEC as well as many local climbing gyms and outdoor retailers.